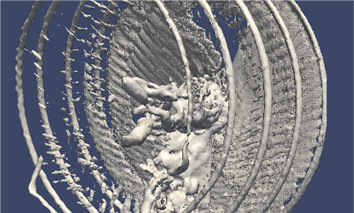 Computing demanding flows with HPC Supercomputers or Massively parallel devices (GPU), using advanced parallel solvers. 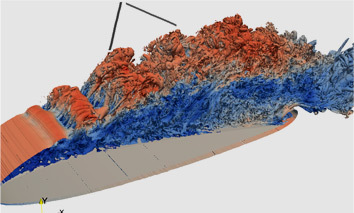 Compressible & incompressible fluid flows simulations for general aerodynamic studies. LES based turbulence modeling. Advanced wall modelling techniques for high Reynolds wall flows. 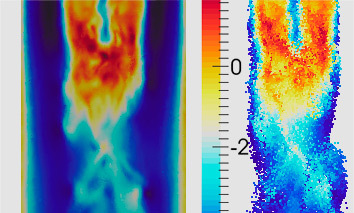 Multi-phase, multi-fluid and free surface flows. Immersed boundary methodologies to deal with complex moving bodies in the flow domain. Moving and sliding meshes to deal with hibirid static/dynamic domains.